August 1, 2014 / Rachel C.
I had no idea what to do with this challenge. I’m sure there are an infinite number of things that I could have done, but I honestly drew a complete blank. 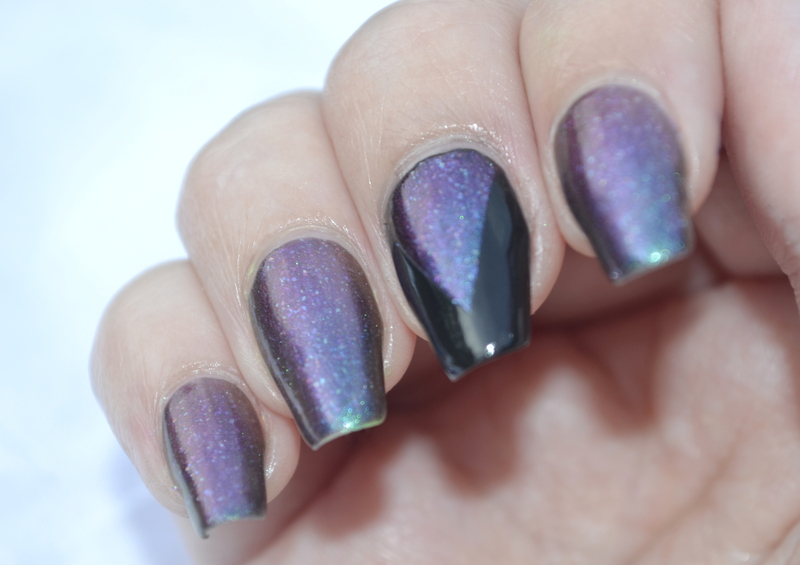 All I could think of was a tape mani, but those are annoying so I kept it very simple. 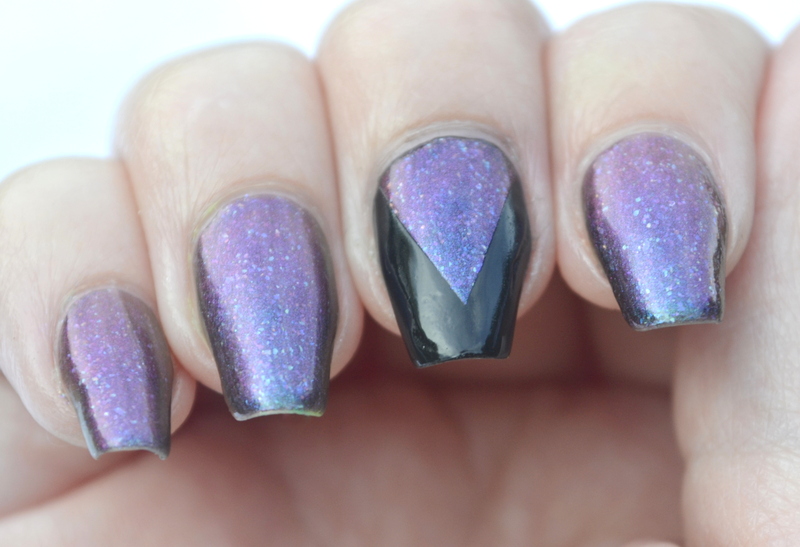 I put on my brand new ellagee Hold Tight and Pretend It’s a Plan and then made a triangle with Kleancolor Black. 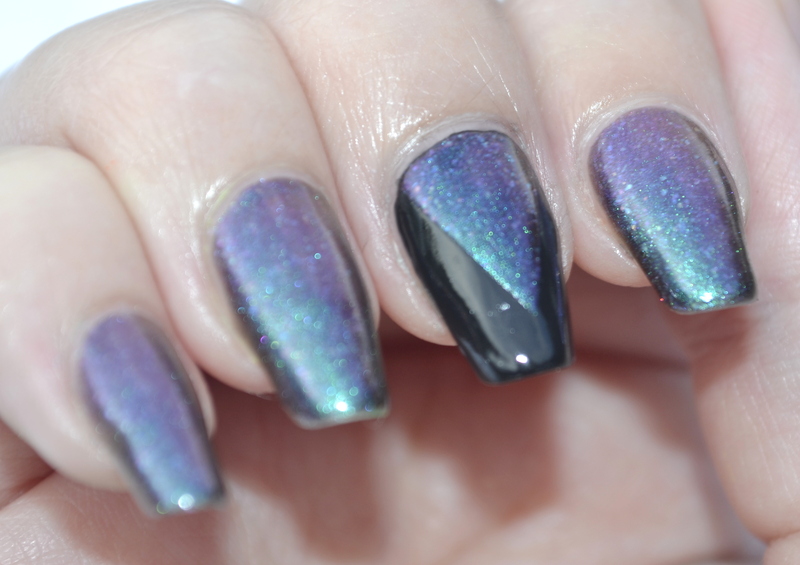 Clean and simple and doesn’t cover up the duochrome too much. I actually kind of like this. Very possibly because of how pretty Hold Tight and Pretend It’s a Plan is. Yet another ellagee that I have fallen in love with. I have a feeling I’m going to be spending a fortune at that shop now that I know how great the polishes are. Speaking of spending a fortune…the next challenge is holographic. 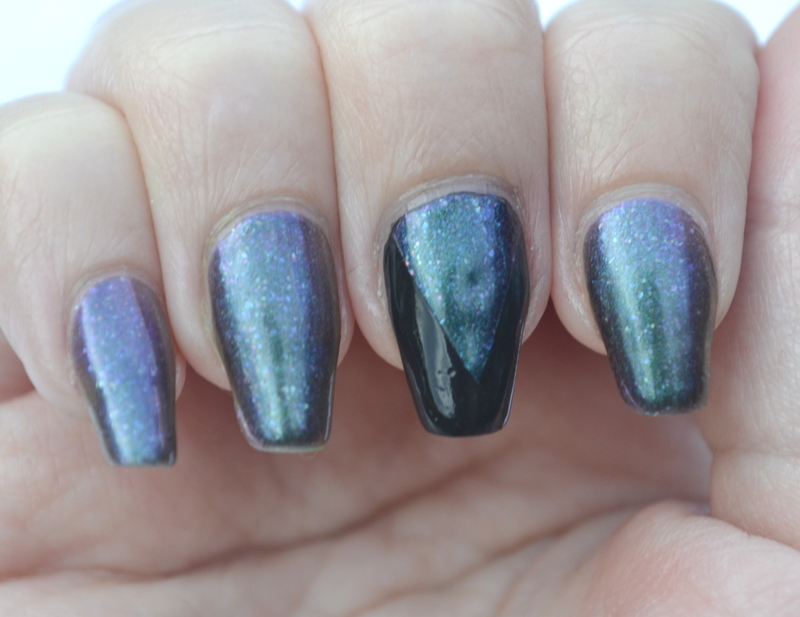 Holos are something that I could definitely throw some money at.